This Valentine's Day gift stack is three gifts in one, sure to please your sweetheart. 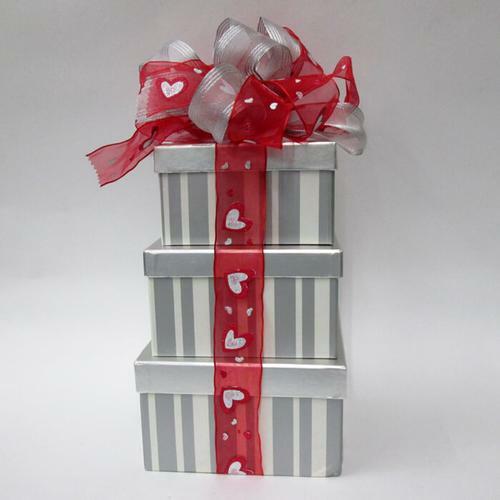 Three stacked silver stripped boxes hold chocolate, bath items and a sweet stuffed bear! The large pamper box includes a lavender bath bomb, lavender chamobile soap, lavender bath salts and a sea sponge. 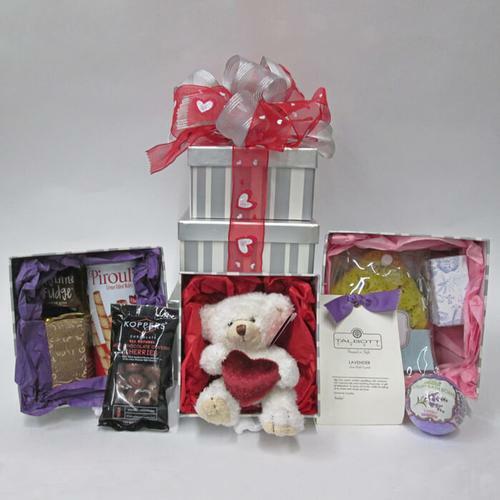 The middle chocolate box includes Bon Courage French truffles, chocolate covered cherries, Pirouline wafer rolls and a fudge bite. 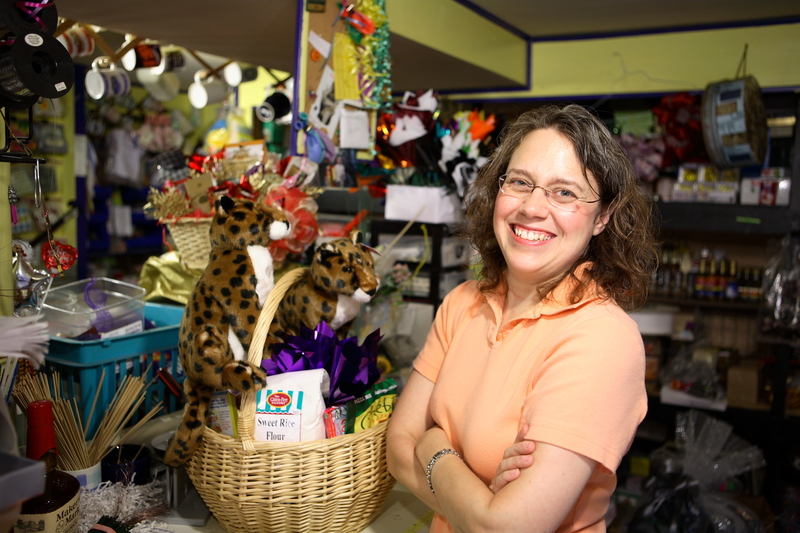 The top box includes this cute heart holding bear!